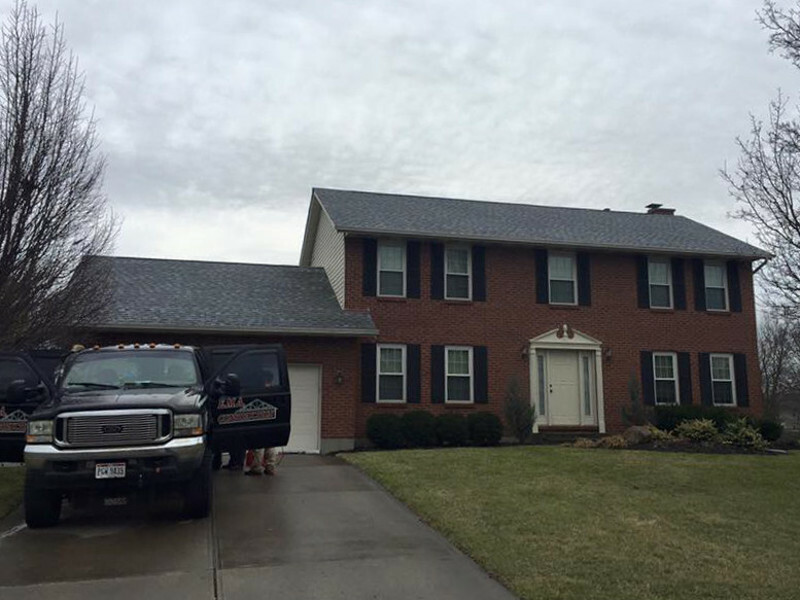 EMA Construction is a Cincinnati roofing company that cares about homeowners in Cincinnati, Dayton, and Northern Kentucky. 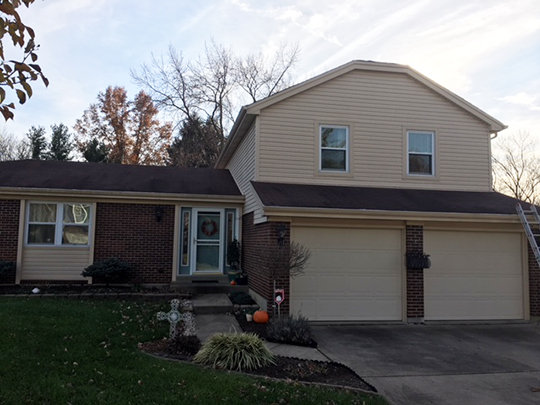 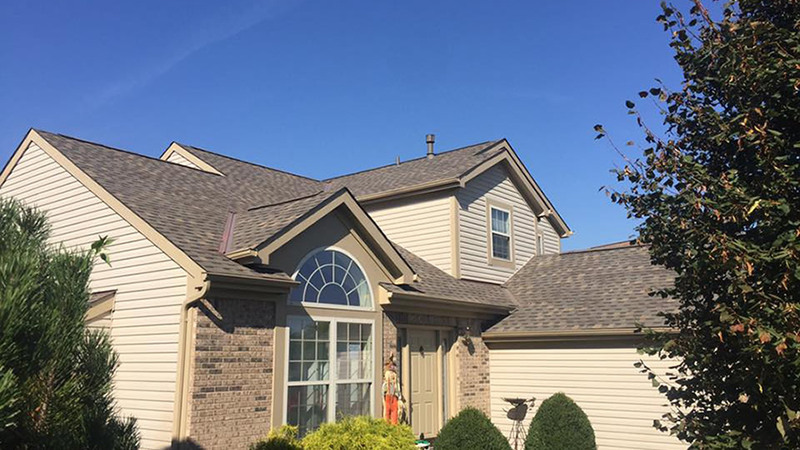 We offer many roofing options in the Greater Cincinnati, Ohio area including dimensional and three-tab shingles, rubber roofing, flat roofing, and metal roofing. 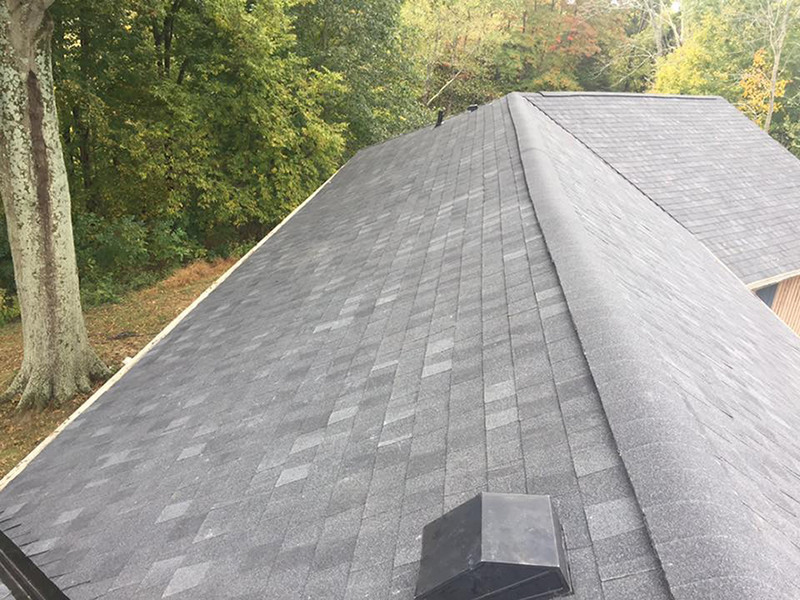 If your roof is missing shingles, shingles have been lifted from the wind, or it's just time to replace your roof due to age, we can replace your roof or simply repair the roof. 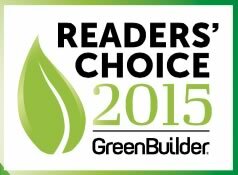 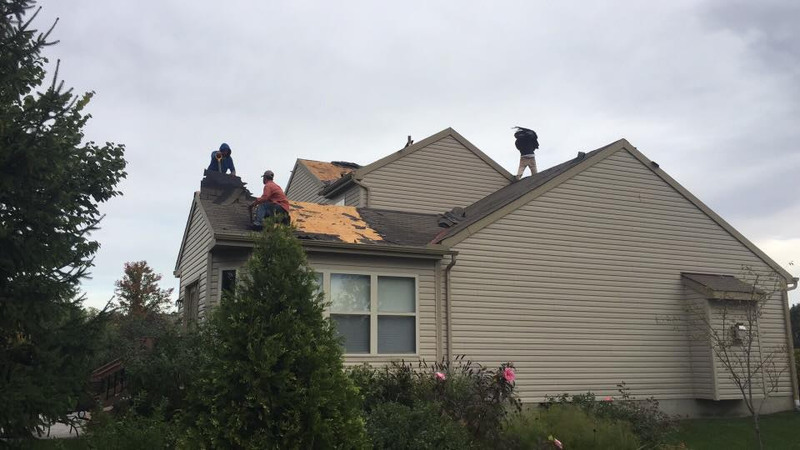 Most Cincinnati roofing contractors advise that homeowners replace their roofs when roof repairs can be a better and more affordable option. 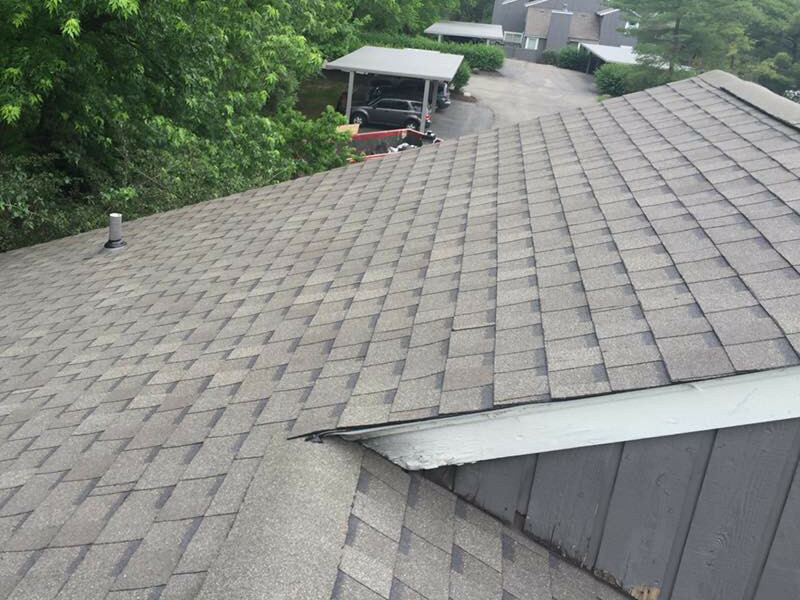 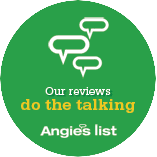 Call today and we will inspect your roof and make roofing recommendations that work with your home improvement budget. 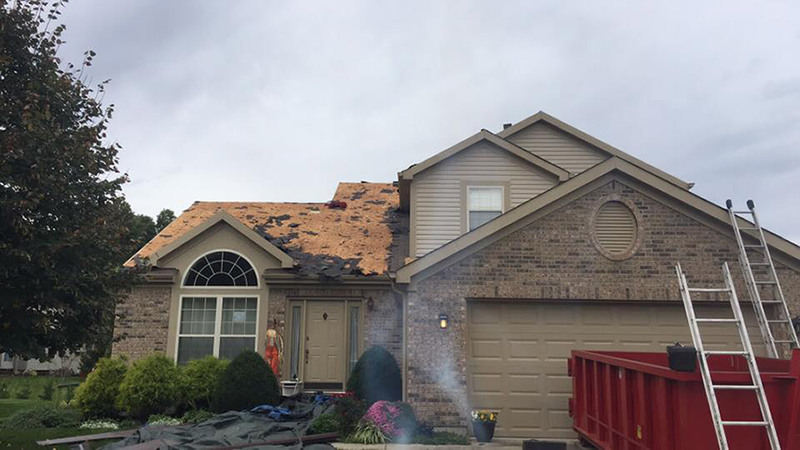 We specialize in repairing hail damage and shingle damage and leaks caused by storms and high winds. 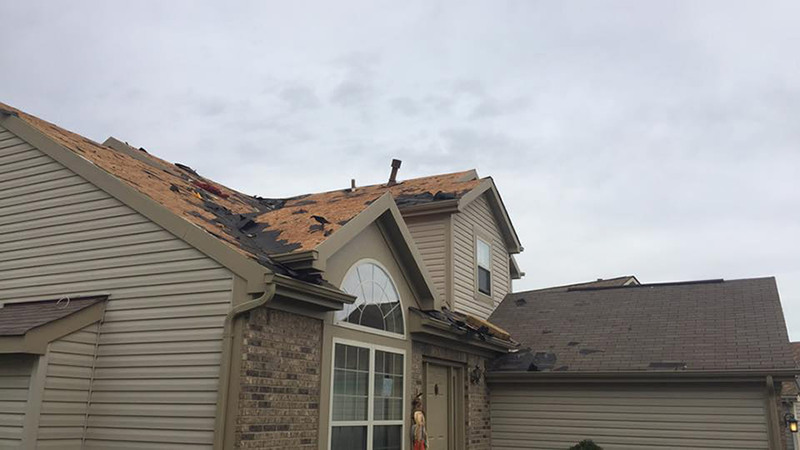 We work directly with insurance adjusters to get your roof repair approved, and we can install dimensional shingles that are rated for wind speeds of up to 130 miles per hour. 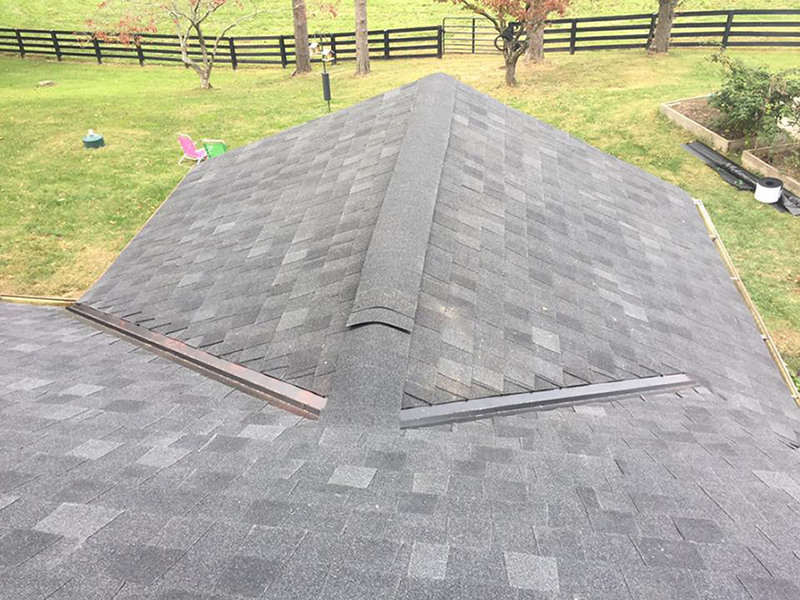 We recommend Atlas Pristine Shingles featuring Scotchgard™ Protector from 3M, which have a Lifetime Limited Warranty and lifetime algae protection. 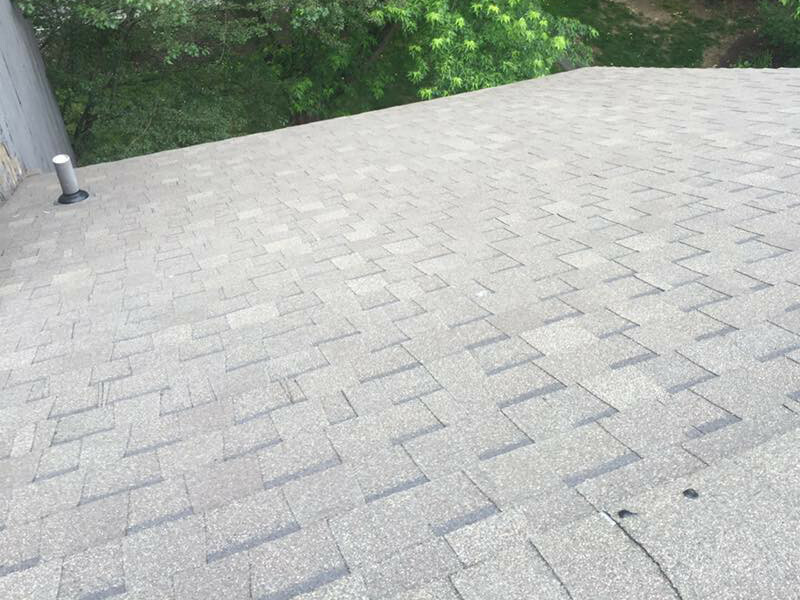 Check out the Atlas Shingle Visualizer to view and compare shingle colors. 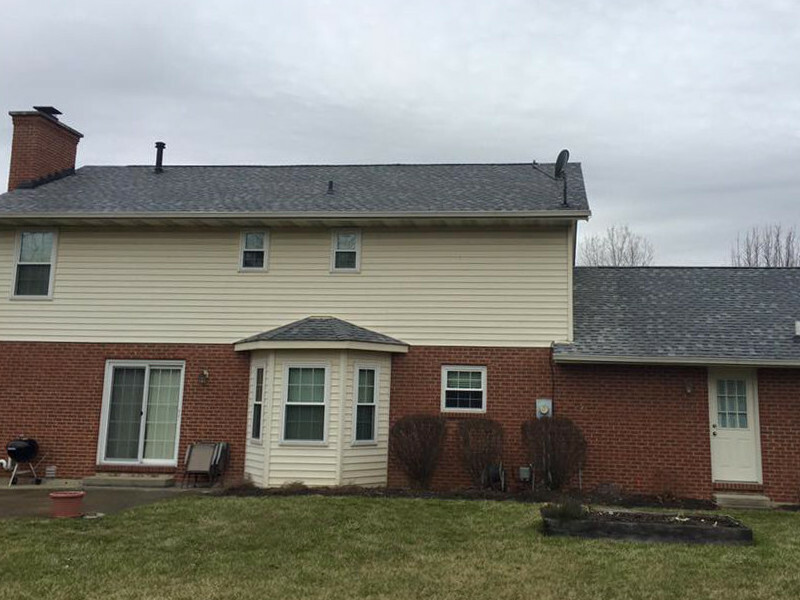 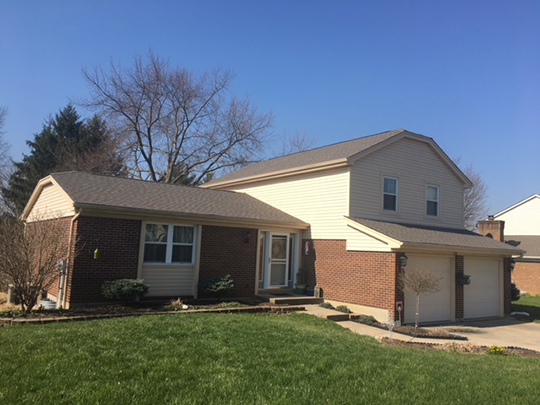 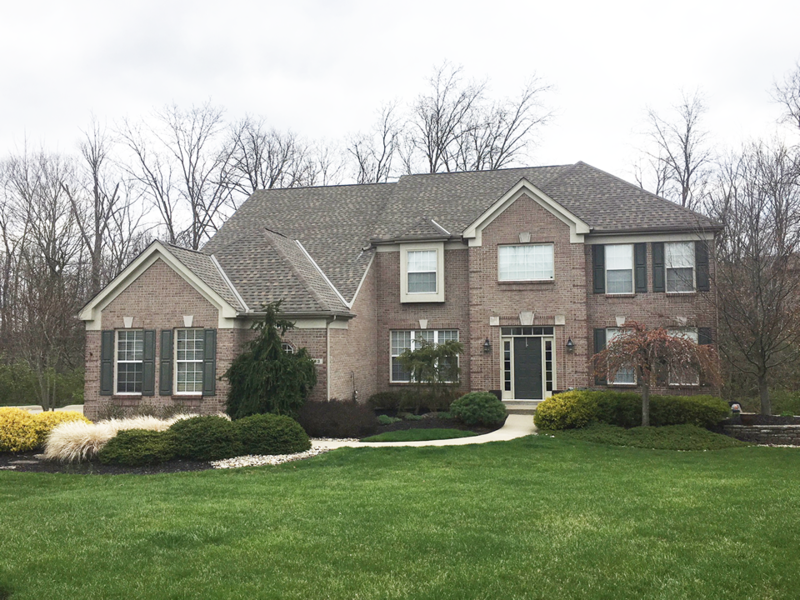 EMA Construction provides Cincinnati roofing services throughout the tristate area, including the following southwest Ohio communities: Batavia, Blue Ash, Cleves, Fairfield, Hamilton, Harrison, Hyde Park, Indian Hill, Liberty Township, Mason, Springdale, and West Chester. 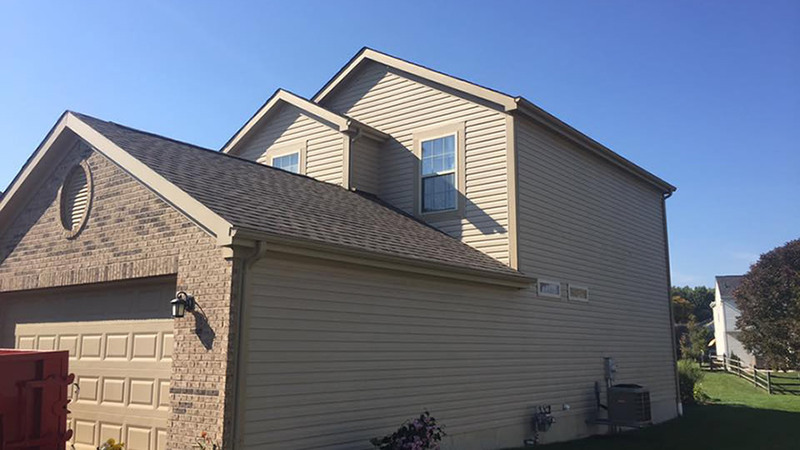 We also serve the Dayton area, including Kettering and Miamisburg, as well as southeast Indiana, including Hidden Valley, and Northern Kentucky, including Erlanger and Florence. 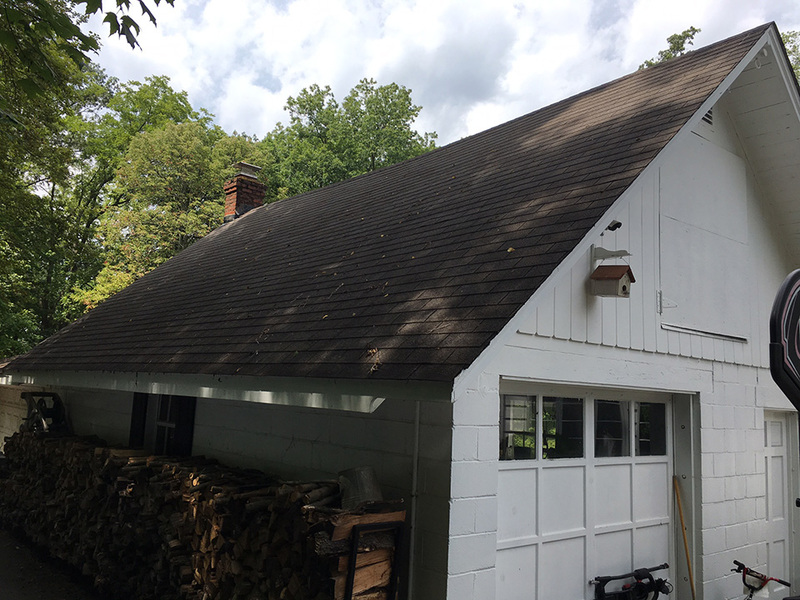 Project Notes: Replaced existing shingles with Atlas dimensional shingles in weathered shadow color. 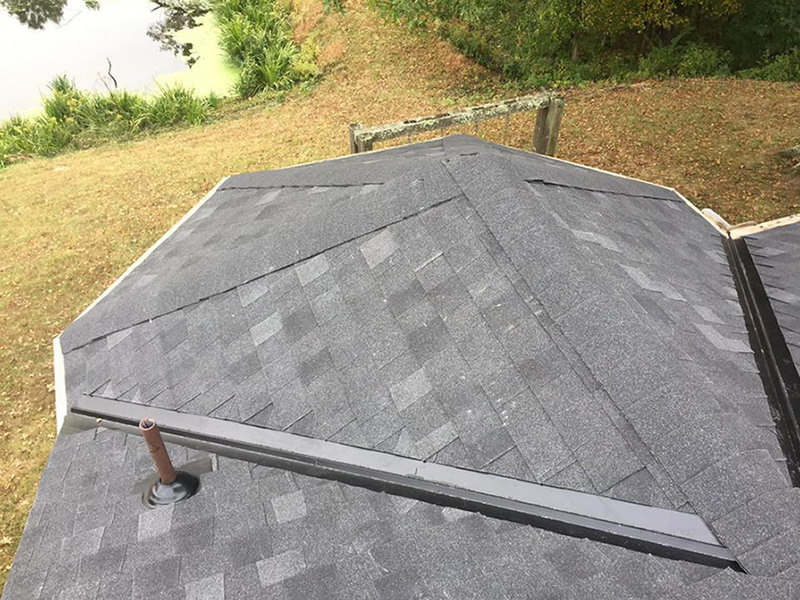 Project Notes: Replaced original three tab brown shingles with Atlas lifetime dimensional shingles in weathered color. 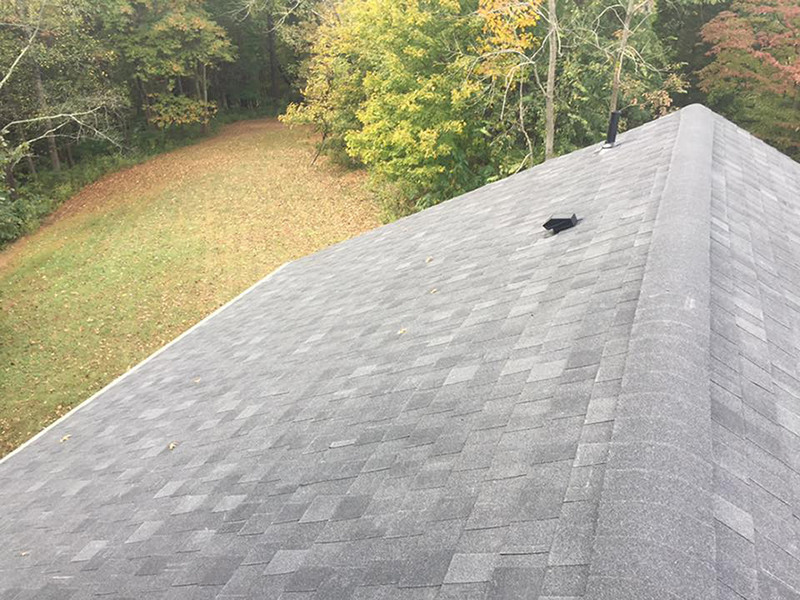 Also installed a ridge vent to vent attic. 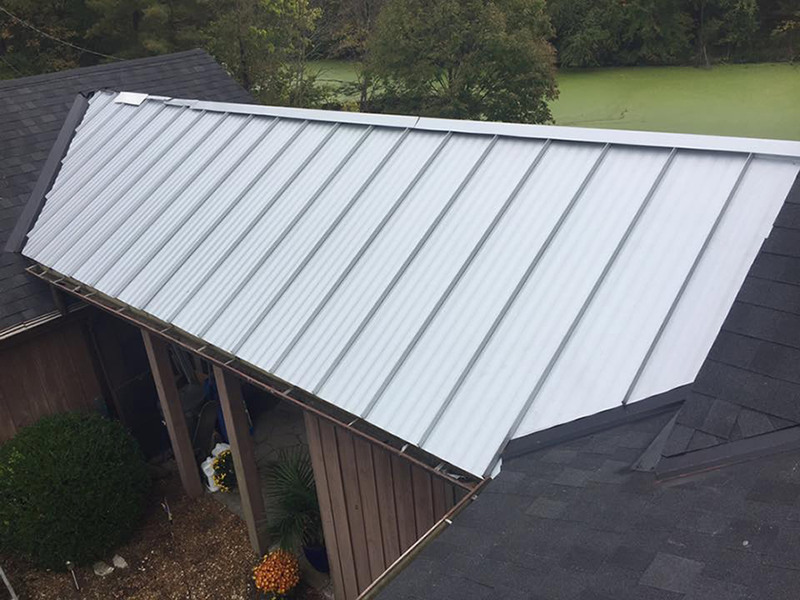 Project Notes: The metal roof on the breezeway was a stand and seam hidden fasteners. 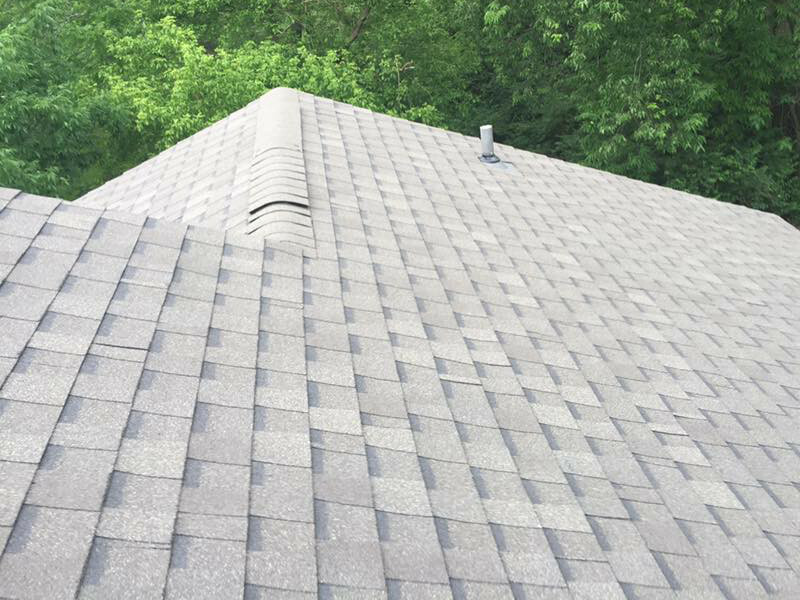 Product: Dimensional 35-year shingle. 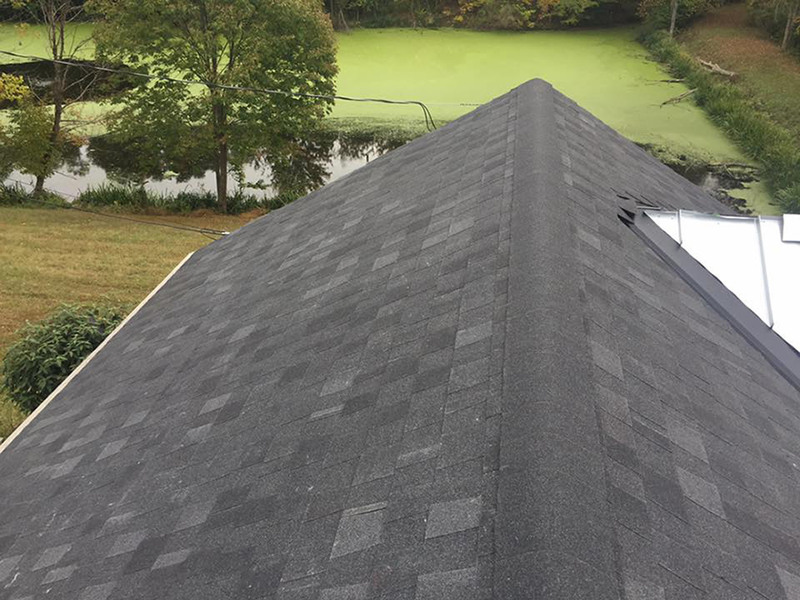 Algae resistance with a wind ratio resistant of 130 mph winds with a manufacturer lifetime warranty and a 10 year labor warranty. 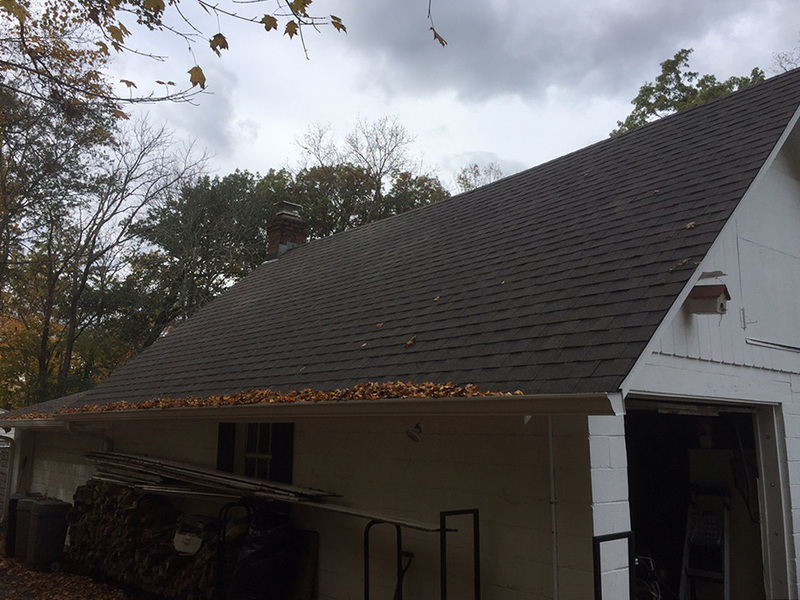 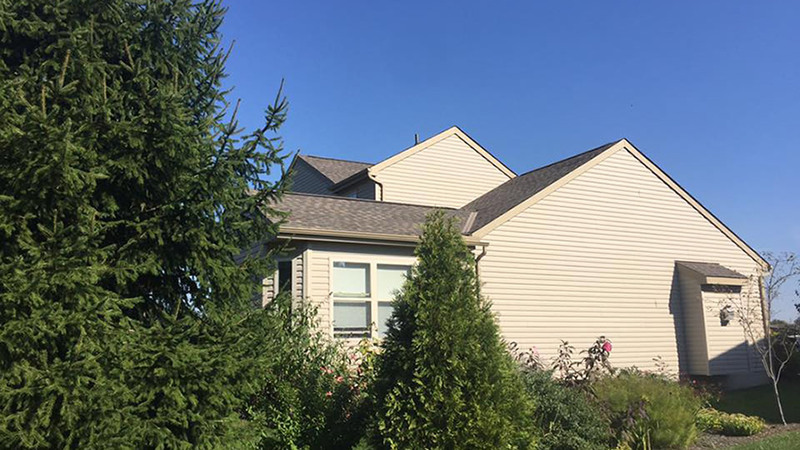 Project Notes: Shingle replacement after storm damage and coordination with insurance company adjuster to get approval of new roof. 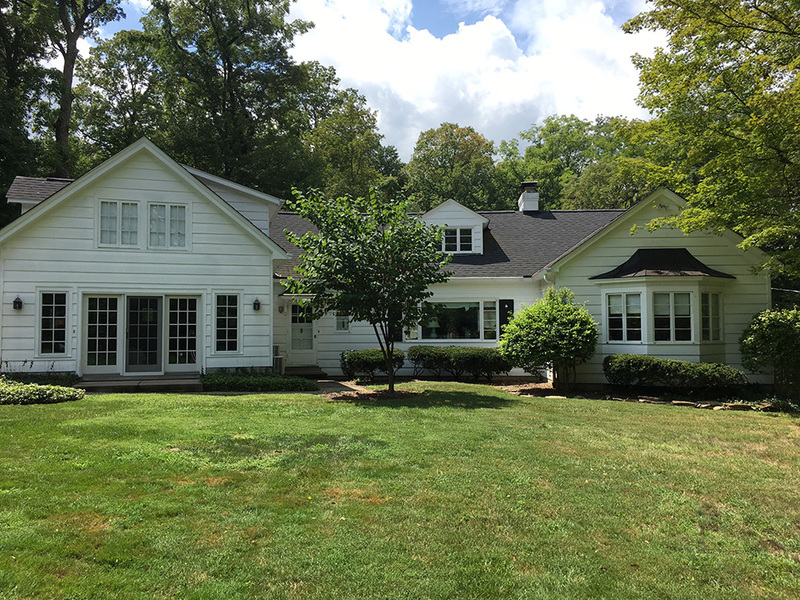 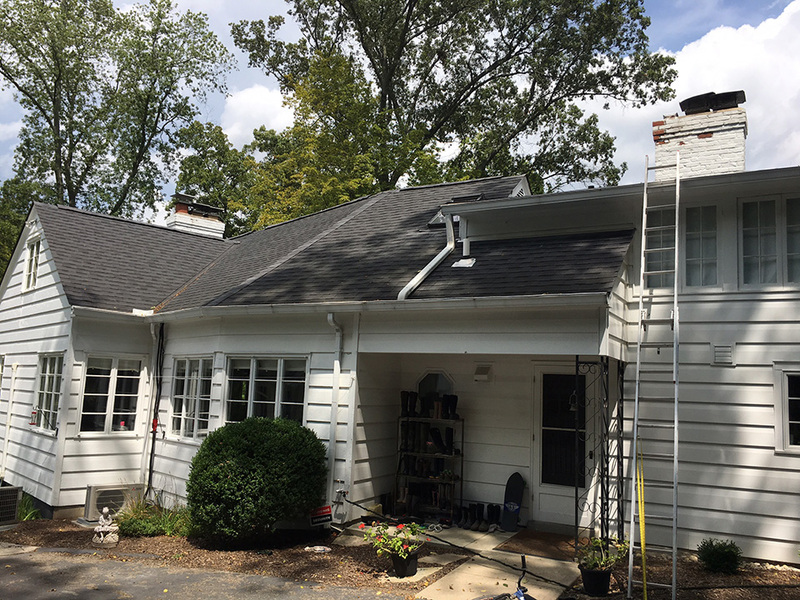 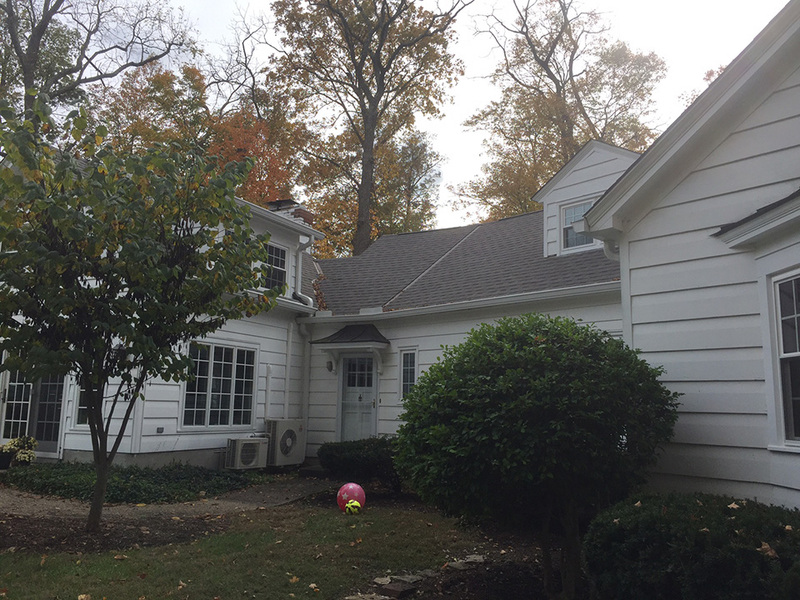 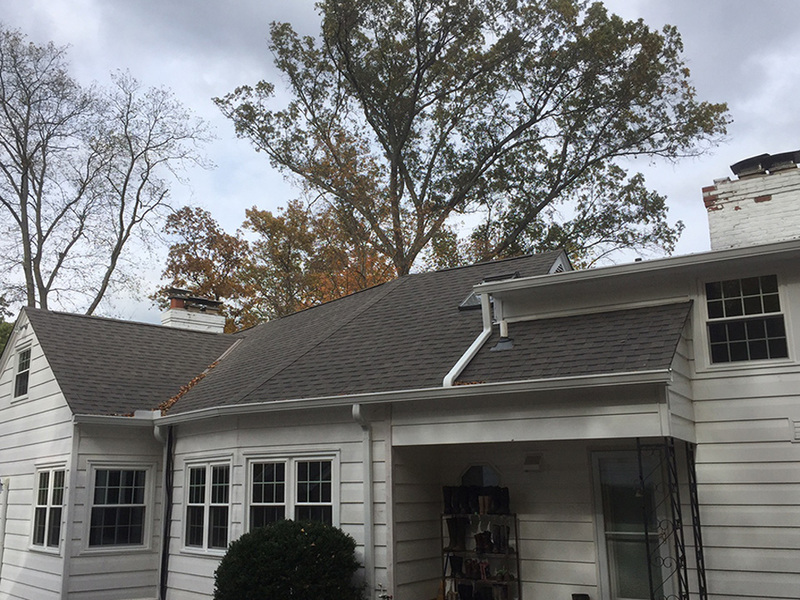 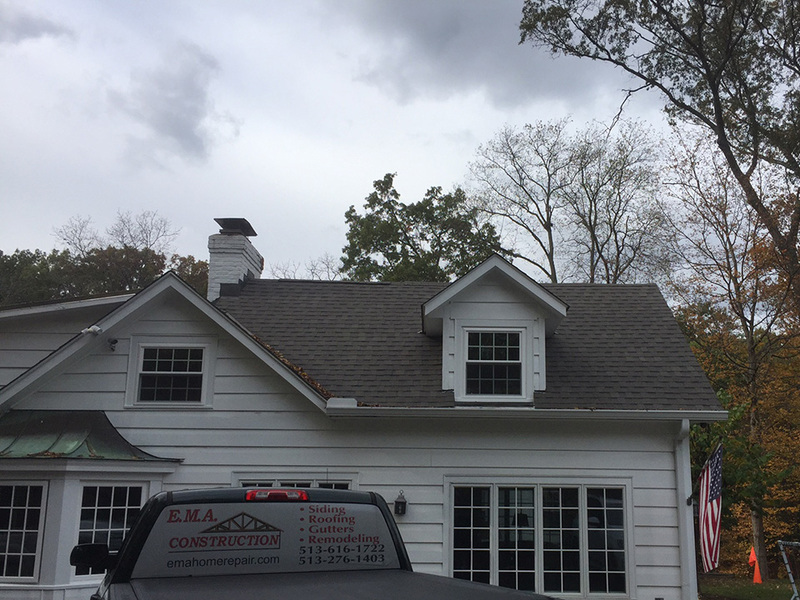 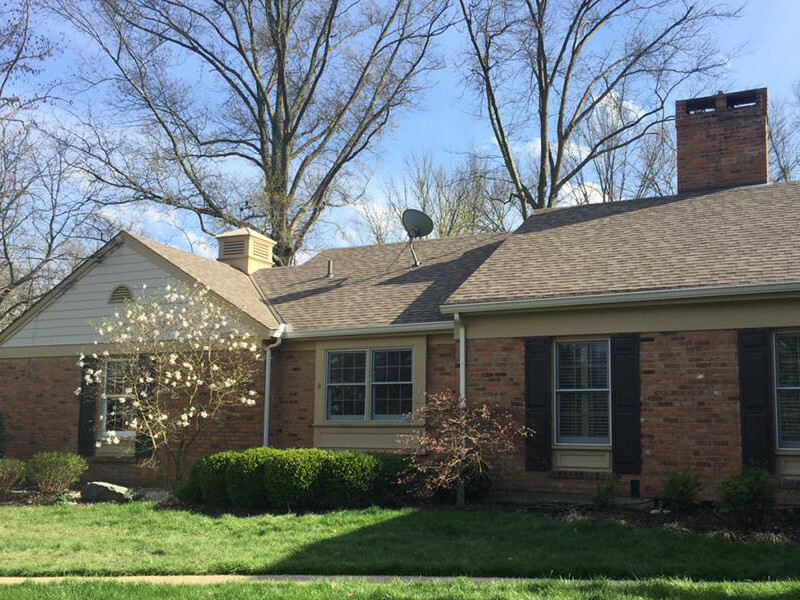 Project Notes: Removed existing black dimensional shingles and installed new Atlas shingles. 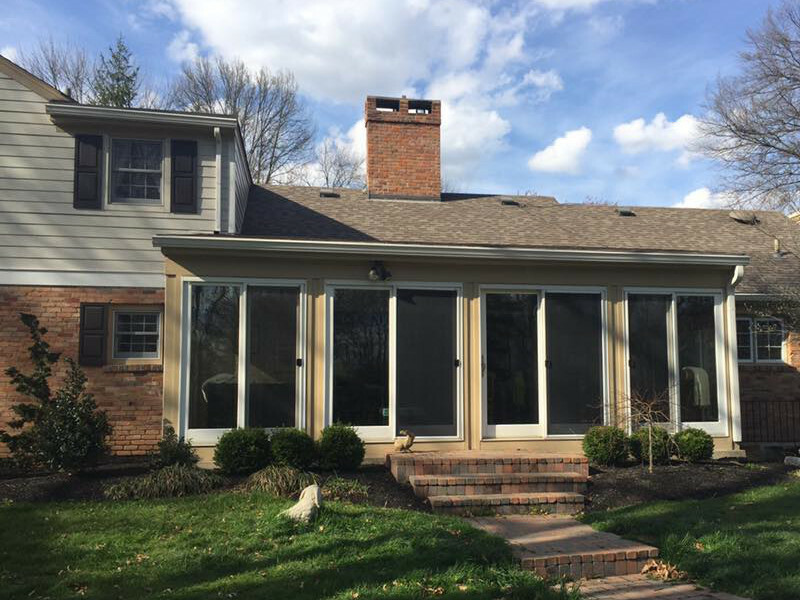 Call EMA Construction today at (513) 279-8362 or email us for a quote. 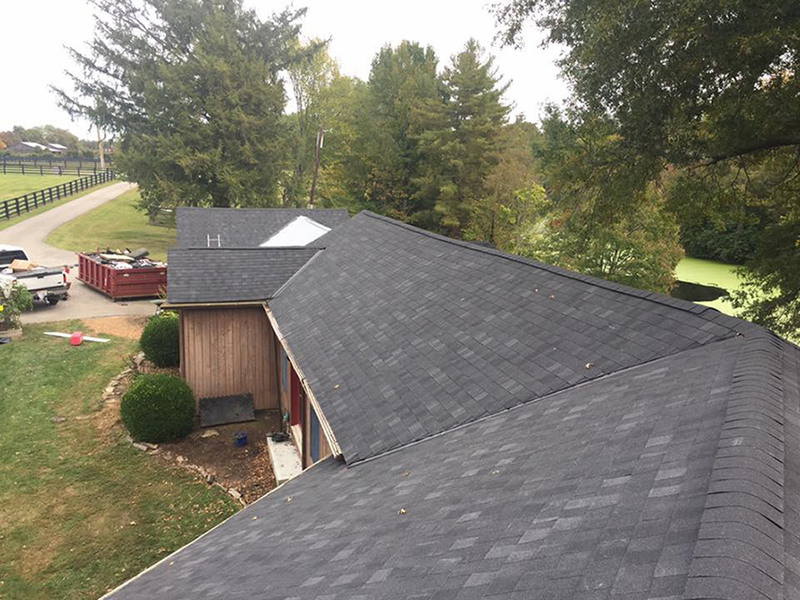 We offer free roofing estimates and are fully insured.